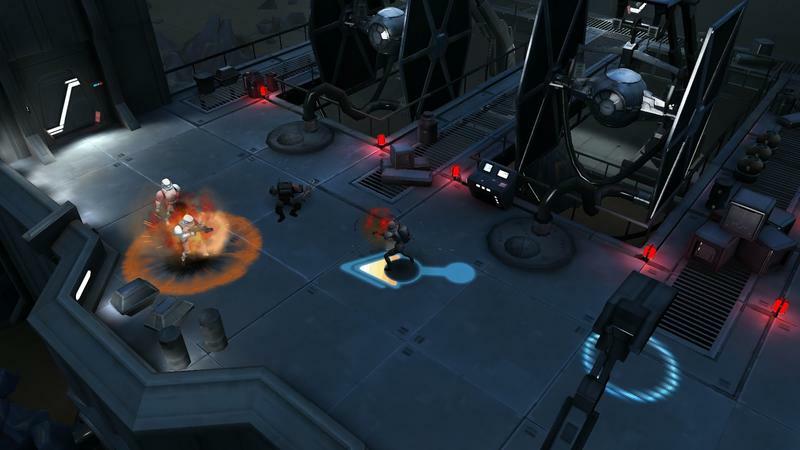 Star Wars: Uprising officially has my attention with its brand new gameplay trailer. It's a brief look at an alpha version of the upcoming mobile game, but it's hitting some really strong notes with the "need-to-play" meter I have in the back of my head. The most compelling of which is its hack 'n slash, isometric, loot grabbing style. If the gameplay loop comes close to what Blizzard created with Diablo (and the assuredly free-to-play method doesn't absolutely kill the game), we could have a truly stellar Star Wars mobile effort on our hands. The game takes place in the space between Star Wars: Episode VI Return of the Jedi and Star Wars: Episode VII The Force Awakens. That's the first mobile game to occupy that slot in the Star Wars timeline, and it'll be interesting to see how the folks at Kabam handle the opportunity. The title is set to drop for mobile devices later this year. We'll see how it plays then. Here's hoping it's solid.